C-arm is a device used for diagnostic imaging test. This driving technological force is behind the advancement in the field of minimally invasive surgeries. This accurate and precise device does not cause any discomfort to the patients in both nonsurgical and surgical procedures. As this equipment provides minimal invasiveness, it has led to an increase in the cost-effective outpatient care. Initially, it was used for orthopaedic application or general surgery. However, now the C-arms are described by both users and manufacturers as highly versatile. This is possible due to the technical progress made since the introduction of initial design. Used C-arms are today available in various shapes. Smaller is always better when we it comes to gadgets/equipments. Besides space and convenience, you also save money. Although this logic makes sense, you need to remember that, reduction in size will also lead to some limitations. What Mini C-arms cannot do? In short, the type of C-arm you need depends on the studies you want to do, at the facility. In case, you concentrate on extremity work, then mini C-arm will be an excellent choice. This will save both space and money without sacrificing functionality. If you want to do torso, vascular or spine work, but you are short of space then this type of model is ideal. It is also the most popular model today. Based on the model and make the deepness of ‘C’ could vary from 24” - 28”.They are used for torso and spine studies, pain management, swallow tests and surgery. In a nutshell, you could do any kind of procedure. This model has more free space, which helps accommodate obese or larger patients. The height of ‘C’ could vary from 31” - 33”. 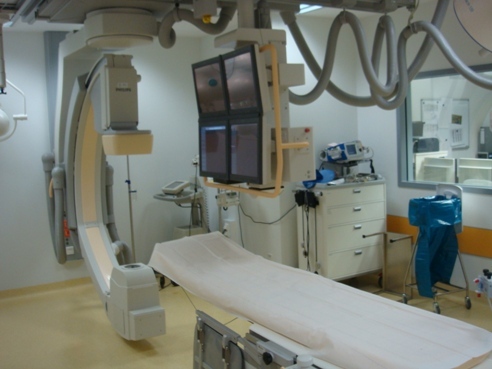 Pacifichealth USA used C arms is indeed a great investment, especially for a cost-conscious hospital seeking to upgrade the radiology equipment, for a private facility, which has just started or a medical facility, which wants to provide high quality care. Before purchasing one, you need to know, what to expect from a used C-Arm. Firstly, all the batteries of the refurbished C-Arm should be replaced. Different working parts need different batteries, so you need to ensure that all these batteries are of good strength. Also, Cathode Ray Tubes should be installed into the monitor. However, models that have Flat screen monitors do not need any replacement. Besides this, all the patient information should be removed, before the resale of the device.